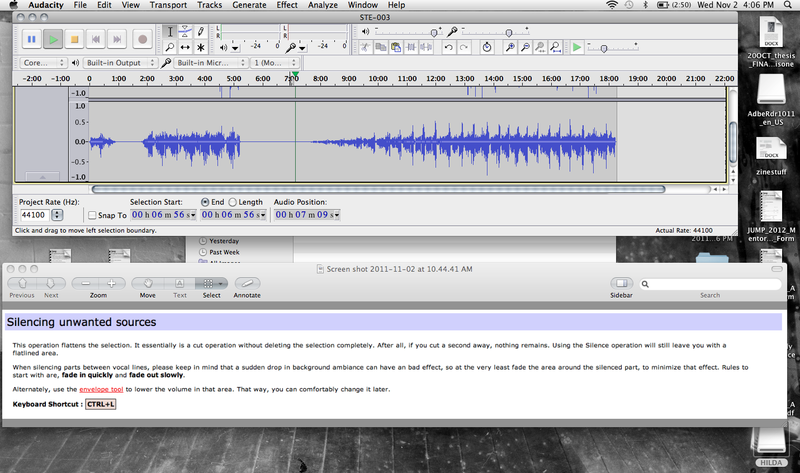 … teaching myself how to edit audio on audacity. Technology and I don’t mix well so we will see how I go! But success so far! This entry was posted in experimentations on November 2, 2011 by Boni Cairncross.